It is difficult to mange the amount of stress one is inundated with in daily, modern life. As technology speeds up the world of communication, people are expected to take on more work, engagement, and productivity and there is less time for self-care and less emphasis on truly relaxing. 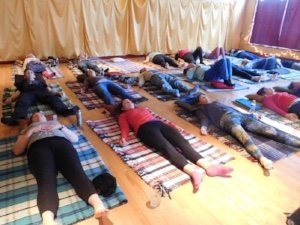 As a result, more people are experiencing bodily difficulties, such as chronic pain, chronic fatigue, repetitive injuries, anxiety, high blood pressure, insomnia, digestive trouble, chronic headaches, TMJ, and the list goes on and on.One of the powerful skills I teach in this class is how to be present with yourself through sensorial experience. This interrupts the mind from spinning its analytical wheels and gives time and direction about how to feel and learn about your body. Not only will this improve your physical experience, it will also quiet your nervous system and allow for new clarity about one’s thoughts and feelings. All from slowing down and being gentle with yourself in easy movements that I will guide you through. It is common to get trapped in the cage of your mind and to forget how to feel the rest of yourself. Your emotional and psychological states are directly related to your physical states. Taking time to engage with your body in biologically meaningful, gentle, and self-respecting ways is a powerful tool in changing habits that will affect every realm of your life. Improvements in your well-being can be surprisingly fast if you are guided back into your body and you take some time to feel, move, and learn from within your body through your senses.If you dedicate an hour to this mindful movement in class, the lessons learned by your nervous system will be available to your brain even when you aren’t actively thinking about it. Your awareness in class highlights old habits and re-opens the door of conscious choice, so that new more comfortable patterns can emerge and be integrated into brain centers that control your fundamental functioning. The new information is then available subconsciously and will be drawn upon at the appropriate times, allowing for a general reduction in stress, tension, and pain. Sounds good, right? Please come experience what I am talking about for yourself this Friday, at 10:00am. All the details are below. And if you can’t make it this week, I hope you will drop-in on another Friday morning and feel how profound gentle, slow, easy movements can be. Are you ready to feel better in an efficient way that utilizes tiny movements, minimal energy, and gets big results?! 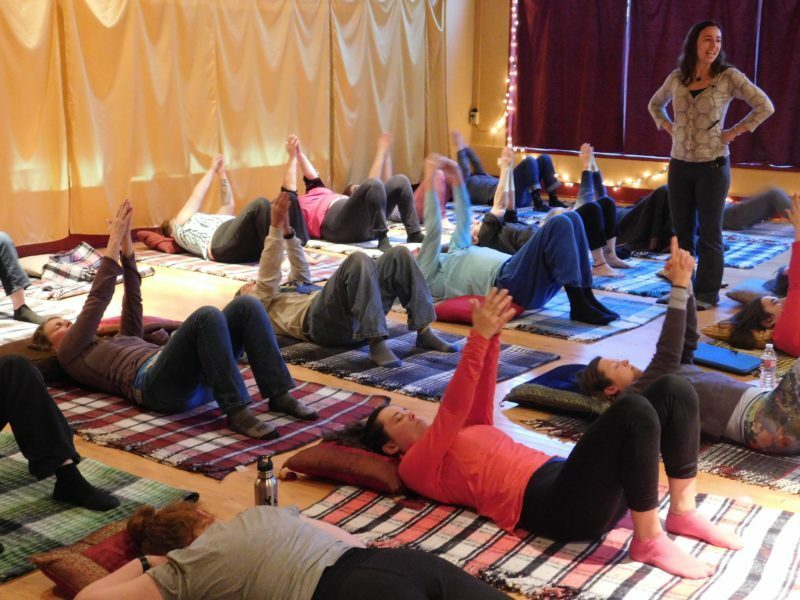 In these classes, you will be led through gentle, easy movement sequences, that will give your brain the necessary information to start using new movement habits and get out of the old painful patterns. You will leave class feeling lighter, more flexible, and taller. You will have a sensation of effortlessness- what a relief! Learn how to utilize the power of your brain to change (neuroplasticity, that is!) through the natural movement patterns of motor development. No matter your age, your brain is ready to learn and find ease and improvement for you! The work we do together in this class seamlessly integrates into an improved daily life. Ready to feel the difference?! *Also, available for on-line subscription ~ you can take this class anywhere, at any time that works for you! Jacqueline Rubinstein is dedicated to creative, powerful, healing movement that makes you feel good. She has been a catalyst in the Improvisational Dance and Feldenkrais Method scenes since 2004. She is the proud director/owner of SomaSpace: Movement Arts & Healing Center, and Move With Ease, her Chronic Pain & Repetitive Injury Recovery Practice. Combining her passions for Improvisational Movement and the Feldenkrais Method, housed in the gorgeous SomaSpace studio, is a dream come true! 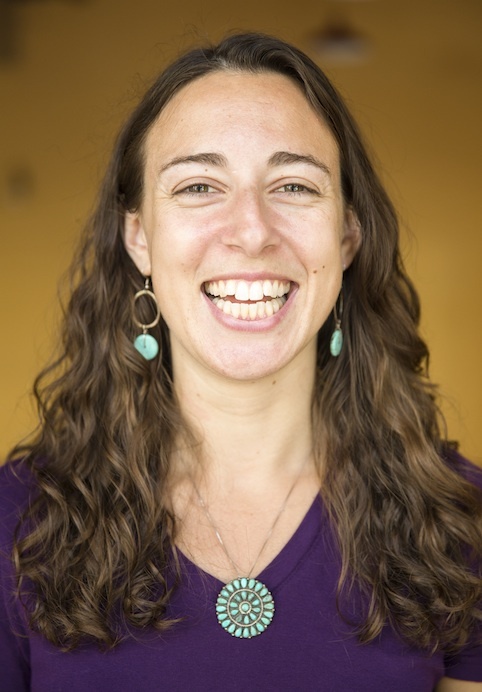 Balancing the gentle, slow, deeply functional movements of the Feldenkrais Method with the limitless, creative, free-form movements of Improvisational Movement has brought great joy and healing to Jacqueline’s life, and she looks forward to sharing her passion with you through her classes, events, and individual sessions. 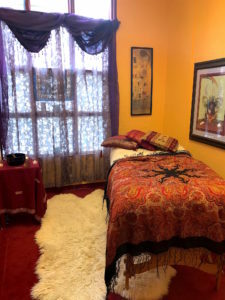 Healing Arts Practitioner Room Available For Rent!! 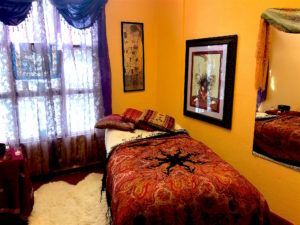 Healing Arts Practitioner Room Available to Rent at SomaSpace! Are you looking for a new home for your healing arts practice? If so, please check out the details below and email or call to schedule a tour! 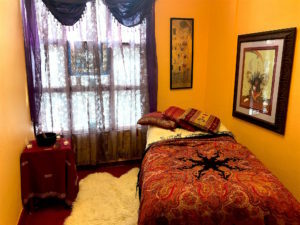 – Massage therapy, acupuncture, naturopathy, plant medicine, herbalism, shamanic healing, holistic health coaching, bodywork, spirit counseling, aromatherapy, and other healing modalities. – Must be comfortable with quiet classes during the day and louder classes at night in the movement studio. – Partially furnished, shared office. -$375 for all 4 days, Monday-Thursday.